Tue., Jan. 30, 2018, 8:57 a.m.
LONDON – British Prime Minister Theresa May is flying to China seeking a key economic partner for post-Brexit Britain. She leaves behind a divided government, a feuding Conservative Party – and a question mark over how long she will remain leader once she returns. May leaves Tuesday for a three-day trip, with stops in Beijing, Shanghai and Wuhan and meetings with Chinese premier Li Keqiang and President Xi Jinping. Accompanied by 50 British business leaders – including the chief executives of automaker Jaguar Land Rover and drug firm AstraZeneca – May is looking to burnish the “golden era” between the two countries announced by Xi during a state visit to Britain in 2015. Bolstering ties with China, the world’s second-largest economy, became more urgent after Britain voted in 2016 to leave the European Union. China is key to the government’s plans for a “global Britain,” forging new trade deals and diplomatic partnerships around the world after it leaves the EU. British exports to China are up 60 percent since 2010, and China is expected to be one of the U.K.’s biggest foreign investors by 2020. British finance minister Philip Hammond visited in December, pledging to promote London as a center for transactions in China’s yuan currency and announcing up to $35 billion in support for British businesses involved in the Belt and Road initiative, China’s mega-plan for trade and infrastructure links across Asia. But May appears more cautious about embracing Chinese investment than predecessor David Cameron, and annoyed Beijing in 2016 by temporarily delaying approval for a Chinese-backed nuclear power plant in southwestern England. Brown said all Western countries have limited power to influence China, and leaving the 28-nation EU will further weaken Britain’s hand. May said she was prepared for “frank discussions on all issues,” but Brown doubted whether human rights would feature prominently in talks. May’s political rivals are maneuvering. She has been weakened since calling an ill-fated early election last year that saw the Conservatives reduced to a minority government. 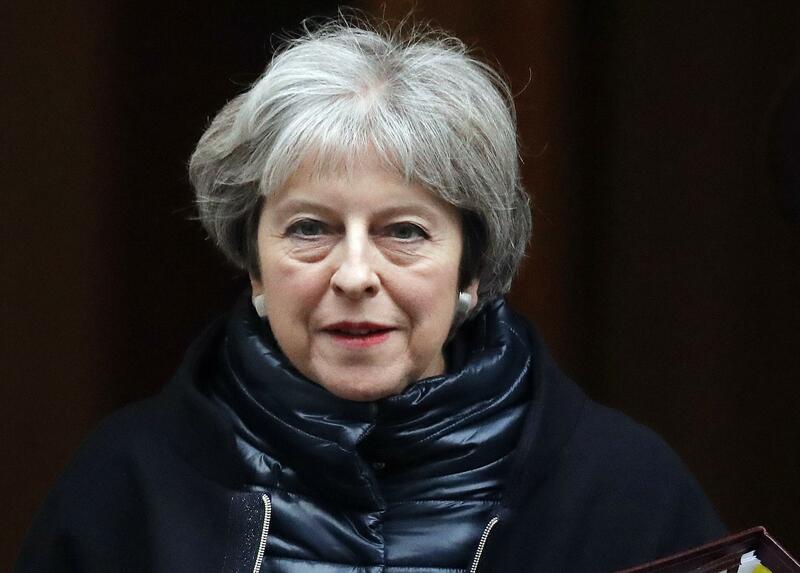 As crucial talks start on future relations with the EU, a split within her government between Brexit doubters and die-hards is coming to a head. Pro-Brexit lawmakers are demanding May fire Treasury chief Hammond, who is considered too supportive of a compromise “soft Brexit” rather than a clean break. Potential leadership contenders, including Foreign Secretary Boris Johnson and Defense Secretary Gavin Williamson, have positioned themselves in the headlines with speeches and announcements. There is mounting speculation that May could face a vote of no-confidence – triggered automatically if 48 Conservative legislators write to the head of a key party committee. Recent reports have claimed that the number already submitted is over 40. Tim Bale, professor of politics at Queen Mary University of London, said divorce negotiations with the EU mean May will soon have to spell out what kind of Brexit she wants – alienating one wing of her party. Published: Jan. 30, 2018, 8:57 a.m.